A few days ago, Gary Paulini [GP], Producer and Xavier Penin [XP], Lead Game Designer, played the game of the Q&A and answered some burning questions asked by the famous fansite Age of Heroes. With their kind approval, we are now sharing this Q&A on the Shadow Council website. Thank you again for this great opportunity! 01) From what we saw in the Gamescom demo map, creature models in the battlefield view look very small. Additionally, the default view of the battlefield is very zoomed out, showing too much of the background graphics around the battlefield instead of focusing on the battlefield itself. Will you work to improve this? [GP] First of all it is important to keep in mind that all cameras in the Gamescom build were only for demo purposes to facilitate screen capture and offer a broad vision of our battlefields and creatures. We worked hard to find a good compromise between visibility and accessibility but of course Heroes VII includes a zoom in/out feature in combat (and an adventure map, of course) so you can decide to focus on what really matters to you: the actual battle and the creatures! 02) What does Luck and Morale do in H7? Does the game feature the possibility of negative Luck for creatures? [XP] As previously stated we wanted to return to the roots of Heroes' core features, and Luck & Morale were of course one of these key elements. At the moment we don't have much information to share about this particular topic but in a few words: Luck and Morale do the same as they always did. Good Luck gives increased damage; good Morale gives an additional "half turn". In contrast to Heroes 6, negative Luck is back and "fumble" is synonymous with try again or reduced damage dealt. 03) Will the Map Editor have the Event function again? The "blue-ball" in the h5 Editor was one of the most important features for a creator to have. Placing that single object empowered the maker to call for an ambush, a morale change, joining troops, goodies, etc. [GP] The "blue-ball" is not coming back... but is evolving! Indeed, the Unreal Engine 3 offers great tools to all map makers and modders. In addition to all existing scripts on our database, fans will be able to create and share additional ones to enhance the experience. In this way we hope to offer even more possibilities to all the people willing to create new worlds and fascinating adventures. 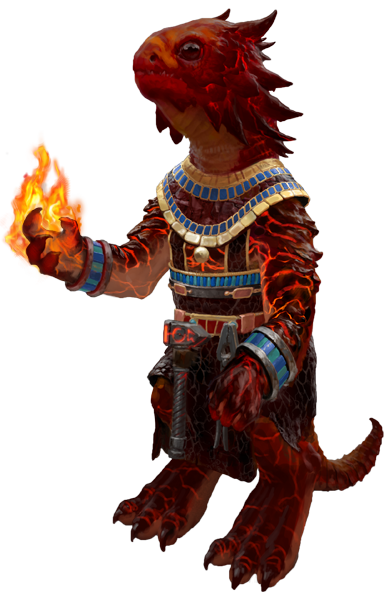 04) Will primary attributes return (attack, defense, spell power and knowledge) or will it be like in H6? [XP] Primary attributes are making their grand come back in Heroes VII. Based on all we learnt from traditional Heroes titles we decided to re-implement them, the only difference will be the nomination of some of them. 05) How will the skill system work this time? Will perks make their return and will skill be random with leveling up? [XP] The truth is we discussed an option to implement randomization. But in the end we decided to let you choose what skills / abilities you want to unlock. So it will be a kind of mix between H6 (full control is in your hands) and H5 (skills are structured in a wheel). We will develop this point in the following months on our Shadow Council website to give you more details. 06) Will there be a Random Map Generator or Simultaneous turns in the basic game? [GP] As we said in a Q&A on Celestial Heaven, we're spending a lot of time on the Map Editor. Right now, it is too early to reveal details as a lot of work is still required to achieve our expectations. Regarding Simultaneous Turns, it's also in our mind. As of today we can't confirm if or how it will be implemented. 07) How will the town building trees look like? What Heroes games are they most similar to and is there anything new about them? [XP] The Town Building system is very similar to the one from H5, but offering you more choices and more buildings affecting many aspects of the game. An article dedicated to this particular topic is planned in the following weeks on our official website, stay tuned! 08) Can you reveal more info about warfare units? What is new about them? [XP] I'm glad to say I can reveal more info about Warfare Units! The new thing is they're a mix of creatures and war machines, destructible, buyable, upgradable... They are unique to each faction and offer various gameplay styles. Goodbye to the one-for-all catapults, hello to your own dedicated support units. 09) How will the racial skill work this time? Will it have unique abilities scattered throughout the skills like in H5? Will it have its own skill tree? [XP] At the moment we can't give you all the details about this specific point but of course each racial skill will offer a specific skill including different special related abilities. An example with the racial skill of Haven (work in progress of course! ): Righteousness - "Whenever a friendly creature has good morale, all other friendly creatures get +X morale until they have good morale. This effect can stack up to the morale cap". 10) What can you tell us about the magic system? 11) What unique aspects are you trying to implement in M&M:HVII? We heard a lot about trying to bring back the best things from the previous installments, but is there going to be anything new that is truly unique for the Heroes franchise? [GP] Well, you're right that we mainly communicated about "bringing back the best things from the previous installments". Heroes classical formula has proved its worth and it is important for us to remain faithful to it while trying to bring innovations and new flavor to Heroes VII. For instance, we'll bring in a flanking mechanic in order to give more importance to creatures' positions. Combat Maps will use different sizes and layouts, forcing you to revise your strategy and think about what's best during any specific combat.